The Green Bay Packers lining up against the Chicago Bears. The Green Bay Packers are a professional American football franchise based in Green Bay, Wisconsin. They are currently members of the North Division of the National Football Conference (NFC) in the National Football League (NFL), and are the third-oldest franchise in the NFL. Founded in 1919 by coach, player, and future Hall of Fame inductee Curly Lambeau and sports and telegraph editor George Whitney Calhoun, the Packers organization has become one of the most successful professional football teams, having won a total of 12 professional American football championships—nine NFL Championships and three Super Bowls—the most in the NFL. The franchise has recorded 18 NFL divisional titles, eight NFL conference championships, and the second most regular season and overall victories of any NFL franchise, behind the Chicago Bears. From the inaugural season in 1919 to the completion of the 2007 NFL season, 1493 NFL players have played at least one regular season or playoff game for the Green Bay Packers. 26 of these individuals have been inducted into the Pro Football Hall of Fame, while 109 have been inducted into the Green Bay Packers Hall of Fame (22 players have been inducted into both). "Packers.com – History – All Time Roster". Packers.com. Retrieved January 12, 2009. "Pro Football Hall of Fame – Hall of Famers by Franchise". 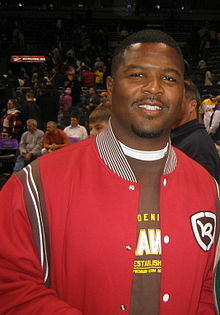 ProFootballHoF.com. Archived from the original on August 22, 2008. Retrieved January 12, 2009. "NFL Players". NFL.com. Retrieved January 12, 2009. ^ a b "Packers.com – History – Birth of a Team & a Legend". Green Bay Packers. Retrieved June 28, 2008. ^ "Green Bay Packers Team Page – NFL.com". NFL. Retrieved June 28, 2008. ^ a b "Packers.com – History – Super Bowls & Championships". Green Bay Packers. Archived from the original on May 10, 2008. Retrieved June 28, 2008. ^ "Team Encyclopedias and Records". Sports Reference LLC. Retrieved June 28, 2008. This page was last edited on 19 April 2019, at 01:20 (UTC).